Pirtek Racing’s Andrew Jordan is in confident mood ahead of rounds seven, eight and nine of the Dunlop MSA British Touring Car Championship at the high-speed Hampshire circuit of Thruxton (9/10 May). After a breakthrough weekend at Donington Park for the second event in the season, Andrew is relishing the unique challenge of Thruxton in the works MG6 GT run by Triple Eight Racing. 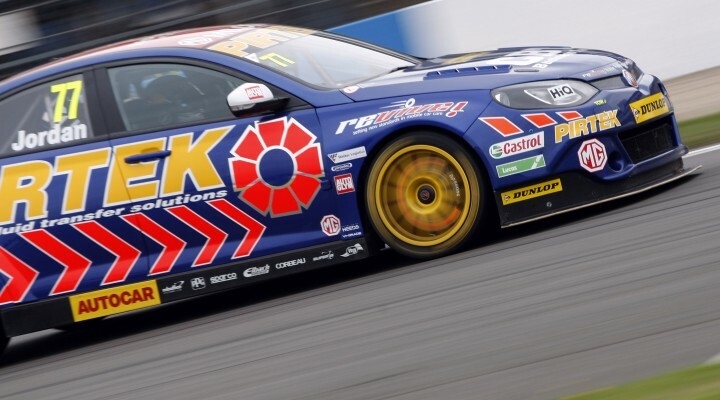 Despite a tough start to the season at Brands Hatch, Andrew and Pirtek Racing were back at the forefront of the BTCC action at Donington Park with two fourth places and a second. That catapulted him into fourth place in the overall driver championship points, just 12 points away from the early leader. Pirtek is Europe’s number one provider of fluid transfer solutions and mobile hose replacement, with over 170 centres supported by over 700 mobile service workshops throughout Europe. Offering solutions to a number of business sectors, including the automotive industry.